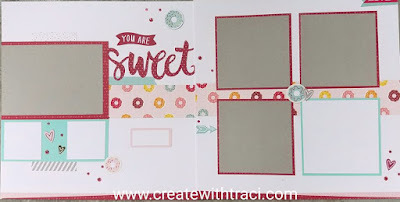 This month my classes are using the fun Sugar Rush paper pack... who doesn't love DONUTS??? The first layout holds 7 photos! not bad! The second layout uses a couple of the pre-designed picture my life style pieces from the paper pack that is designed to be cut up.. 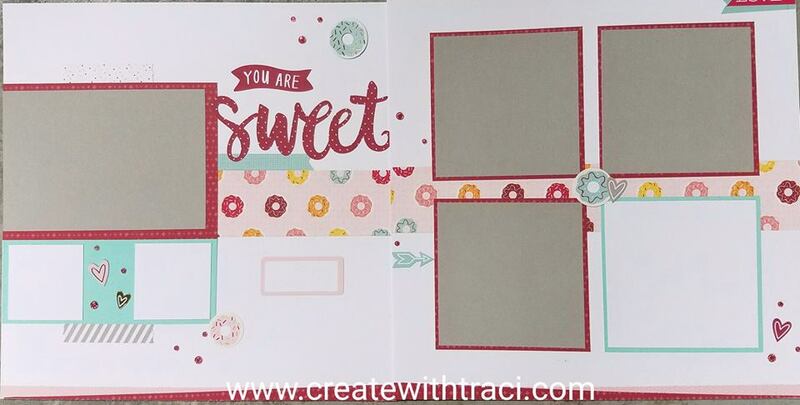 I love the embellishments included in the complement pack of this set- there are some fun metallic pieces that just add a touch of class. I'm planning to use the layout below for my brand new (and first!) great niece... so fun! These layouts are so fun. The back of the donut paper in the top photo... Is ice cream! 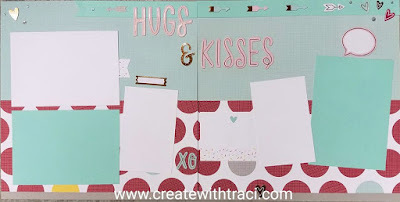 So you could easily use this paper for birthday party photos, summer day, or a ton of other uses!